Everyday we receive pics of our customer's garage makeovers with contur cabinets. 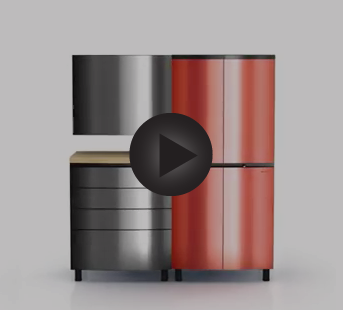 Check out our video page to have a first look at the Contur Cabinet style! Based on popular cabinet layouts, our team has put together an affordable 12-piece basic starter set for you to begin building your ultimate cabinet system. The Contur name and respective logo are registered trademarks of Contur Cabinet Ltd.